Breast Cancer Test May Identify Low-Risk Tumors That Don't Require Treatment : Shots - Health News Researchers say the test, which measures gene activity, can help avoid "overtreating" tumors that are not life-threatening. It might allow some patients to avoid radiation and chemotherapy. The UCSF study used breast tissue collected from postmenopausal women in a large Swedish trial, for which there was extensive information about the women's treatment and long-term survival. The study, known as Stockholm-3, was started in 1976 and was among the first to compare the effects of the estrogen-blocker tamoxifen with a placebo. Tamoxifen has since been shown to suppress subsequent tumor formation, and is in common use. Samples were available from 652 patients. Most (79 percent) had undergone a mastectomy — or lumpectomy plus radiation. About half got no further treatment and half got tamoxifen. Tumors in the study were small — 3 centimeters or less in diameter. And all the women had "clean" lymph nodes, meaning the cancer had not spread. The tumor test was performed on these samples and 15 percent (98) were classified as ultralow-risk. These women had an "excellent prognosis," the researchers found, whether or not they took tamoxifen or whether they received radiation or not. Their rate of survival, 20 years out, ranged from 97 percent with tamoxifen, Esserman says, to 94 percent without. "We can tell [these] women that they are highly unlikely to die of their cancers and do not need aggressive treatment," Esserman says. "This is an important step forward" for personalizing care for women with breast cancer, because it allows doctors to "tailor treatment for each individual based on the aggressiveness of the tumor they have." Some other oncologists agree. "We're allowing our science to help us understand that sometimes less treatment is effective," says Dr. Len Lichtenfeld of the American Cancer Society. "That's an emerging theme in cancer treatment," he says. "We used to think every cancer we found was a bad cancer and had to be treated aggressively. It's taken a long time for us to be able to understand and adopt principles that we can treat less and still be effective — and not harm women [who have] breast cancer." 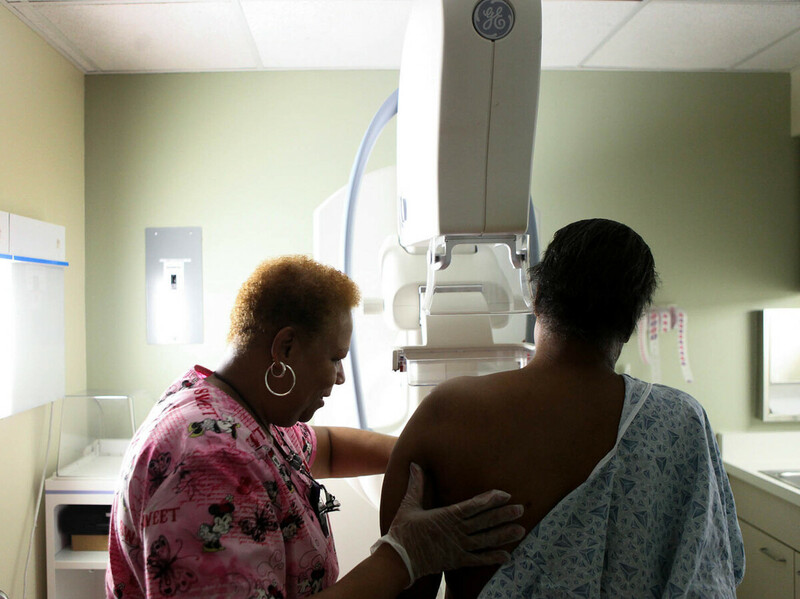 Even so, should all patients with breast cancer get the tumor test? "This is not something we are routinely discussing or offering to patients," says Dr. Harold Burstein, a breast cancer specialist at Dana-Farber Cancer Institute in Boston, and a spokesperson for the American Society for Clinical Oncology. Tumors classified as "ultralow," Burstein says, "have never been reported on before." "This study suggests we may be able to get more information out of MammaPrint, which is exciting," he says, "but it needs to be looked at in more studies." And until those studies are done, he recommends at least one group of women — those with estrogen-receptor positive breast cancer — "should still have an anti-estrogen medicine like tamoxifen" or a similar drug after their surgery. MammaPrint is a genomic test that looks at a set of 70 genes in a tumor, showing how the genes are controlling the production of the proteins that drive a tumor's growth. A genomic test of the tumor, which measures how genes are functioning, differs from other genetic tests that determine someone's hereditary risk of cancer. The tumor test was approved by the Food and Drug Administration in 2007 to predict whether an existing cancer has the ability to spread. It's priced at $4,200 and is covered by some insurance plans in the U.S.
One of the co-authors on the paper — UCSF molecular biologist Laura van 't Veer — developed the MammaPrint test. She's a co-founder and chief research officer of Agendia NV, the company that holds the license to MammaPrint.